Santa Cruz da Graciosa is a Portuguese municipality in the Graciosa Island, in Azores. The population of the municipality is 4,777 and its area is 60.7 km². It is divided into four parishes, and includes the entire island of Graciosa, which is surrounded by the Atlantic Ocean. Today, Santa Cruz da Graciosa is a picturesque town that offers a nostalgic window to the past with its patched roads, white houses, and 500 year-old buildings. The town is also a great base for exploring the rest of the Graciosa Island and you’ll leave only after experiencing the inner sense of peace and tranquility that Santa Cruz is known for. 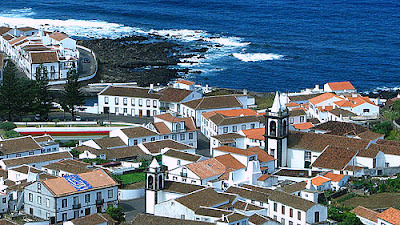 The historic town center of Santa Cruz da Graciosa is probably the focal point of the town. The center has two water reservoirs, originally used to water the cows in the area. The reservoirs are surrounded by Brazilian pines and elms that give Santa Cruz da Graciosa its natural look. Around the town center, you’ll find a multitude of old historic buildings like the Santa Cruz Church, which was built in the 16th century and rebuilt in the 17th century. This church is a masterpiece of wood, tile, and old panels and stores antique Portuguese artwork that date back to the 17th century. The Santo Cristo Church, Our Lady of Charity Church, and the São João, Cruz da Barra (Iron Cross) and São Salvador chapels are additional examples of Santa Cruz da Graciosa’s architectural patrimony. The town is also home to the Ethnographic Museum. This museum contains items that are related to the wine culture of Graciosa Island as well as the town’s previously thriving whaling industry. 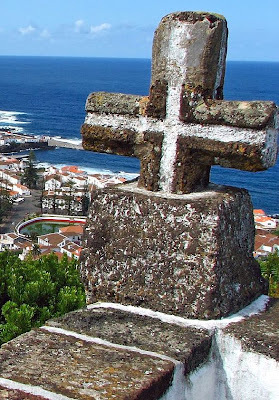 Outside of Santa Cruz da Graciosa, the mountain of Monte de Nossa Senhora da Ajuda is worth climbing as the peak provides a panoramic view of the town, the interior plains of Guadalupe, and the north side of Graciosa Island. Before leaving to explore the other sites on Graciosa, be sure to sample the fine traditional cuisine of Graciosa at Santa Cruz’s quaint restaurants. Santa Cruz da Graciosa is famed for its fish dishes, featuring locally caught fish. The Caldeirada de Peixe and the Roasted Fish are two popular specialties. Off the coast of Santa Cruz da Graciosa are an abundance of shellfish, from crabs and lobsters to limpets, which are regularly cooked and served at the local restaurants. The town is also known for its delicious cupcakes, rice pastries, and sweet bread, including the Encharcados de Ovos and Massa Sovada. Wine aficionados, moreover, will find it hard leaving Santa Cruz da Graciosa (or Graciosa Island for that matter). From the roots of the island’s vineyards come some of the best wines in the Azores. 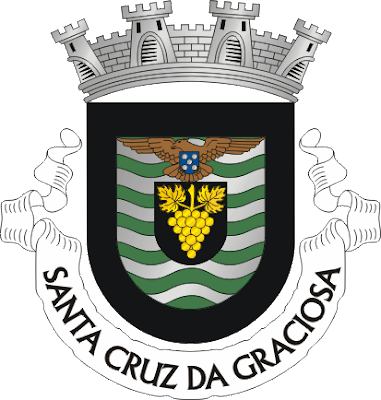 The white wines and aperitifs at Santa Cruz go very well with the seafood dishes served at its restaurants. You can also enjoy the old Aguardentes, a hard liquor distilled in old copper distilleries. The wine is more a dessert wine served best while sampling the town’s dessert specialties like cupcakes and sweet pastries. I am trying to track down my ancestors who were born in the Azores. Can you tell me where I can search?